First and foremost, take out all devices from your entertainment unit. Then use a soft cloth to clean the dust before you start using a certain type of polishing solution. It’s important to choose a cleaning solution which is made specifically for a certain type of material. For example, if your entertainment units are made of wood, then make sure you buy a polishing solution recommended for wooden pieces. 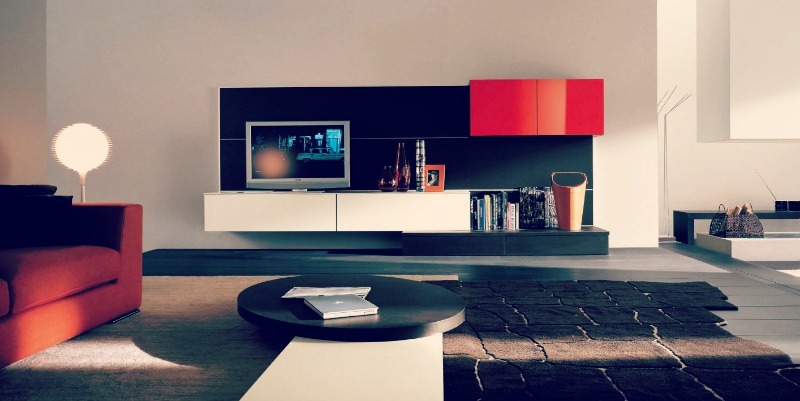 A simple cleaning with a soft cloth on a daily basis is enough, but if you want to give your entertainment units a new look, then don’t forget to polish them. Water can damage the wooden furniture pieces. When moisture gets deep inside the finish, white marks and rings show up on the surface. Fortunately, this damage can be repaired. There is no need to worry if you accidentally spill water on your entertainment units. Simply get a thick towel and place it directly on the stain. Then gently press the iron over the towel for few seconds. Set the iron on low temperature and press it gently to remove the moisture and to dry the finish. Your entertainment units will look like new. No matter how strange it seems, nuts can really help by hiding the scratches of the entertainment units perfectly. Walnuts and Brazil nuts have natural oils that can darken the wood and cover the accidental scratches. Just crack the nut and rib over the scratch. Repeat the action until you see visible results.